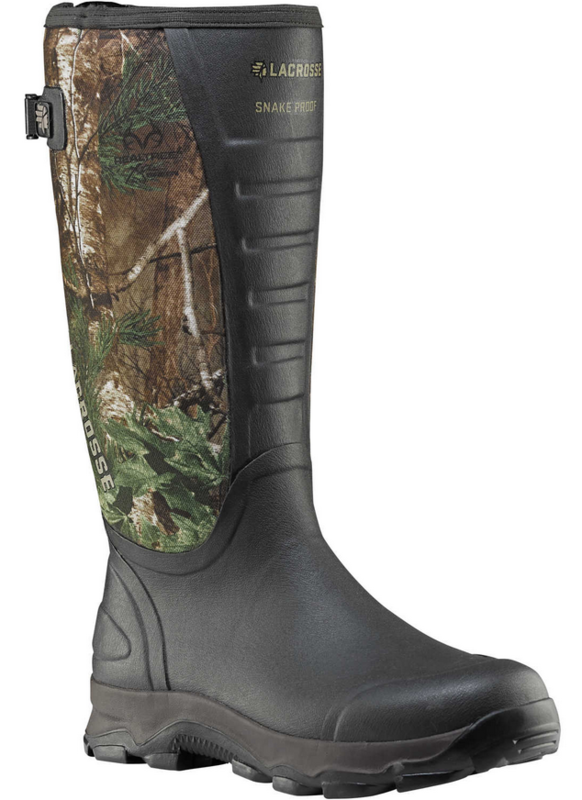 In addition to 360° Snake Guard protection, this boot features waterproof LaCrosse® Alpha construction with natural rubber over neoprene. Quad Core® technology incorporates four layers of cushioning and support, and the contoured Ankle Fit design guards against heel slippage. Additional features include a removable PU footbed, a protective shin guard, and an adjustable back gusset and strap for a customized fit. The 4XBurly outsole ensures superior traction in mud and loose terrain. Realtree Xtra® Green camo pattern.